Brian shares a great passion for real estate with the dedicated Harcourts City Central team, and provides competitive and personalised property services, complete with expert knowledge of Perth and surrounding suburbs. Commencing his real estate career in 2004, Brian initially focused on waterfront apartments, as well as premium inner-city homes. Brian’s ability to establish valuable client relationships quickly expanded his property sales to areas in both North and South of the river, and includes a luxury penthouse sale of $5 million, located in South Perth. Brian’s clients appreciate his integrity and know they can rely on his extensive knowledge to assist them to make the best property decisions. “I am enthusiastic about my work and generously dedicate time getting to know the needs and goals of my clients. My genuine desire to help others, naturally leads the way to creating clients for life.” Brian’s unwavering commitment and energy has led to him being recognised as part of Harcourts top sales agents in Western Australia. My proven track record of delivering quality service means that my clients know that they can count on me every time. First and foremost, I am driven to deliver outstanding service and I am motivated by my passion for exceeding my client’s expectations and for producing results. 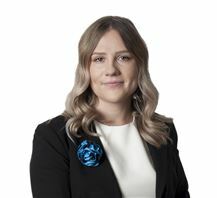 I have a strong and varied background within the real estate industry with roles including office management, book keeping, personal assistant, property management and sales and through this I have built a reputation for my ability to steer clients through the most complex transactions ensuring compliance and best practice. I combine expertise from my Diploma of Public Relations with effective, tailored marketing campaigns that ensures my clients properties stand out from the crowd. Carefully-crafted negotiation skills, hard work and eagerness are tools that I employ to produce the results my clients are looking for. 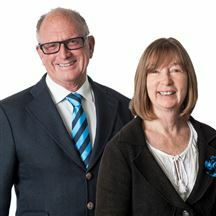 I have worked in a team with Brian for 8 years and together our commitment and energy has led us to being part of Harcourts WA’s top sales agents. Having completed my Diploma of Property, I am now looking to drive Harcourts City Central forward as a Director/Licensee while still offering an unwavering level of commitment to my client’s needs. After completing a science degree in Biotechnology and Veterinary Science, Clinton Edwards decided there was more to life than lab coats and microbes. "I really enjoy Science but I have also always had an obsessive interest in architecture and the property market, so a career in real estate has provided me with a dream job." After some years in the real estate industry, Clinton advanced his professional standing and business acumen by studying for a diploma in Property Services (agency management) and becoming a Licensed Real Estate Agent. Clinton has since joined Harcourts City Central. "I knew of the Harcourts reputation as a professional agency and it was obvious they were setting the service standards for real estate in Perth. I wanted to be part of that. The Harcourts City Central team were extremely friendly and helpful and I knew this was a positive move for me and my clients." Living with his family in East Perth, Clinton knows the local area well and is enthusiastic about the wide range of properties available and the abundant social and lifestyle options. Always a stickler for detail, he takes the listing of every property seriously and ensures all details are attended to, leaving nothing to chance. "When people engage me to sell their property, I know it is a big responsibility and is one I never take lightly. I also appreciate that real estate is not a nine to five job and that you have to be prepared to meet people at their convenience. Putting in the time to get results for my clients is what it is all about." Clinton is always one who enjoys meeting new people, so why not give him a call when you are considering your next real estate transaction. All about Craig: Craig began his career in real estate in 1984 when he commenced work with J J Burns & Associates. 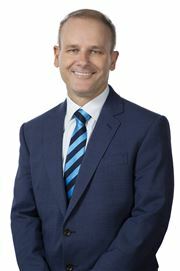 In 1990 Craig became a partner in the high profile North Perth agency Woodville Property where he remained for the next 15 years. Success came quickly through a combination of hard work and a reputation for his honesty and integrity and Craig soon became the recognised "Local Expert" in the Highgate and Perth/Northbridge areas. A testament to his exceptionally high standard of customer service is borne out by the fact that Craig continues to sell the same properties over and over again. Craig has sold the property at 31 Chatsworth Road 4 times during his career, with satisfied purchasers returning to him as potential vendors. In 2011 Craig moved to the team at Beaufort Realty where he spent the next 6 years. Now joining the Harcourts City Central team in 2018, this fresh start has given him renewed vigor & enthusiasm and he looks forward to continuing to give great service and achieve excellent results for both his established clients and the new people he has yet to meet. 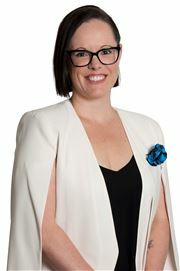 All about Penny: Penny has been working in real estate in the Perth/Highgate area for 15 years. Having come from a retail background, she has a particular interest in the marketing and presentation of homes for sale. Both her children attended the very multicultural Highgate Primary School and she was a huge supporter of the school and a member of the centenary committee. Her passion in life, apart from her family is undoubtedly food and she adores to cook and share a meal with her friends. 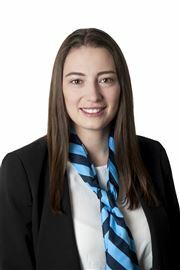 She is well known in the area for her professionalism and commitment to her clients and it is not surprising that she was invited to join the team at Harcourts City Central. The comments heard from her clients are "no drama, no fuss, no problems". I believe that my excitement and dedication for the Real Estate and Property Management industry allows me to consistently deliver an exceptional level of customer service to Lessors, tenants and prospective clients. 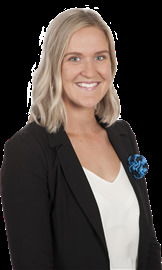 I joined the Harcourts City Central team with a strong background in Property Management, administration and customer service, and pride myself on my ability to put procedures and policies in place that allow me to effectively manage a diverse range of properties. With a focus on attention to detail and a strong ability to communicate, I believe that I’m able to exceed my clients’ expectations and deliver on Harcourts City Central's high standards of transparency, competency and compassion. I understand that one should not strive to be a success, but rather to be of value and wholly apply this to my everyday life through my honesty, integrity and reliability. Through my experience, I have developed an infectious passion for Property Management and look forward to sharing this with you. City Slicker - Under Offer! Sold prior to a public launch!